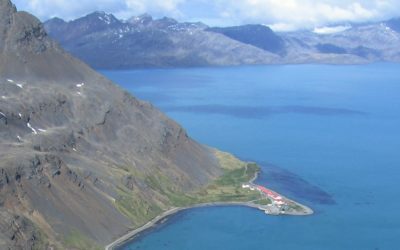 A fishery for Antarctic krill (Euphausia superba) operates over the shelf breaks of the South Orkney, South Shetland and South Georgia archipelagos . Krill is an important food source for large populations of penguins, flying seabirds, seals and baleen whales  and the potential for competition with these predators is one of the major considerations in the management of the krill fishery . The krill fishery around South Georgia operates during winter when the spread of sea ice restricts access to preferred fishing grounds further south . 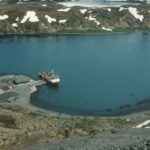 Closure of the fishery during summer has been adopted as a management measure, with the Government of South Georgia and the South Sandwich Islands (GSGSSI) marine protected area (MPA) management plan, in order to avoid competition with seabirds and seals during the breeding season . 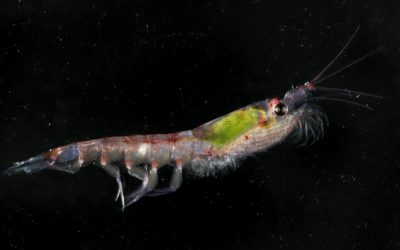 Winter fishing is permitted on the rationale that movement of krill-dependent predators away from their colonies during this period will greatly reduce the potential for competition. This assumption is valid for macaroni penguins, which disperse away from the South Georgia krill fishing grounds during winter . Gentoo penguins are residents at South Georgia, and during the winter period they continue to forage inshore and roost on land at night . This creates potential for the fishery to compete with gentoo penguins for food during the winter period, but their degree of spatial overlap and how this changes during the course of the winter has yet to be determined. This project aims to fill this key information gap and provide advice to the South Georgia MPA review in 2018. In mid June 2018 we equipped 16 gentoo penguins with Sirtrack Kiwisat (202 K2G 273A) satellite transmitters at winter roosts in Cumberland Bay and the Barff Peninsula. The tags relay positions via the ARGOS system for around 70 days so there is no need to recapture the birds to obtain data; an important requirement since gentoo penguins do not always return to the same roost site each night and may range considerable distances along the coast . The locations are shown on the following map. Click on a track to find out how far the bird has gone from the South Georgia deployment locations. Fresh scats will be collected during fortnightly visits to roost sites to examine diet composition, using a combination of stable isotope analysis to determine proportions of fish and crustacean in the diet and genetic fingerprinting to give more detail on the types of food being eaten . 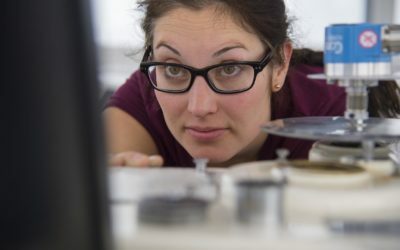 These data will be used to examine overlaps in the distribution of penguin foraging and krill catches, and the dependence of penguins on krill for food during winter. 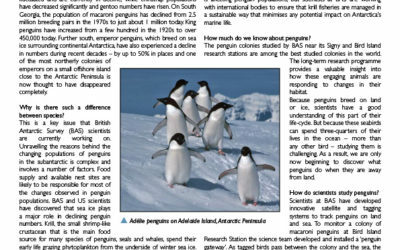 This project is run by British Antarctic Survey in partnership with RSPB, and is funded by The Truell Conservation Foundation and The Pew Charitable Trusts. Atkinson, A., Nicol, S., Kawaguchi, S., Pakhomov, E., Quetin, L., Ross, R., Hill, S.L., Reiss, C., Siegel, V. and Tarling, G. (2012). Fitting Euphausia superba into Southern Ocean food-web models: a review of data sources and their limitations. CCAMLR Science 19: 219-245. Boyd, I.L. 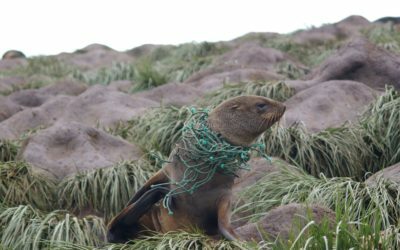 (2002) Estimating food consumption of marine predators: Antarctic fur seals and macaroni penguins. Journal of Applied Ecology 39: 103-119. Chiaradia, A., Forero, M. G., McInnes, J. C. and Ramirez, F. (2014). Searching for the true diet of marine predators: incorporating Bayesian priors into stable isotope mixing models. PLoS ONE 9: e92665. Collins, M.A. 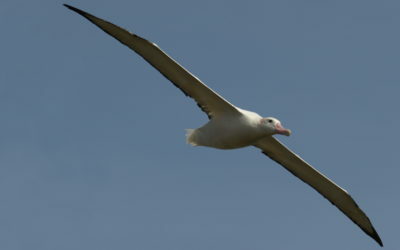 (2012) South Georgia and South Sandwich Islands Marine Protected Area Management Plan. Government of South Georgia and South Sandwich Islands, Stanley, Falklands. 15 pp. Constable, A.J., de la Mer, W.K., Agnew, D.J., Everson, I. and Miller, D. (2000) Managing fisheries to conserve the Antarctic marine ecosystem: practical implementation of the Convention on the Conservation of Antarctic Marine Living Resources (CCAMLR). ICES Journal of Marine Science 57: 778-791. Forcada, J., Trathan, P.N., Boveng, P.L., Boyd, I.L., Burns, J.M., Costa, D.P., Fedak, M., Rogers, T.L. and Southwell, C.J. (2012) Responses of Antarctic pack-ice seals to environmental change and increasing krill fishing. Biological Conservation 149: 40-50. Kawaguchi, S., Nicol, S. and Press, A.J. (2009) Direct effects of climate change on the Antarctic krill fishery. Fisheries Management and Ecology 16: 424–427. Nicol, S., Foster, J. and Kawaguchi, S. (2012) The fishery for Antarctic krill – recent developments. Fish and Fisheries 13: 30-40. Ratcliffe, N., Hill, S.L., Staniland, I.J., Brown, R., Adlard, S., Horswill C.A. and Trathan P.N. (2015) Do krill fisheries compete with macaroni penguins? Spatial overlap in prey consumption and catches during winter. Diversity and Distributions 21: 1139-1348. Tanton, J. L., Reid, K., Croxall, J. P., and Trathan, P.N. 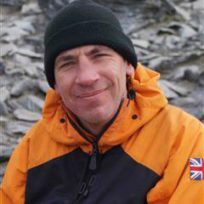 (2004) Winter distribution and behaviour of gentoo penguins Pygoscelis papua at South Georgia. Polar Biology 27:299-303.